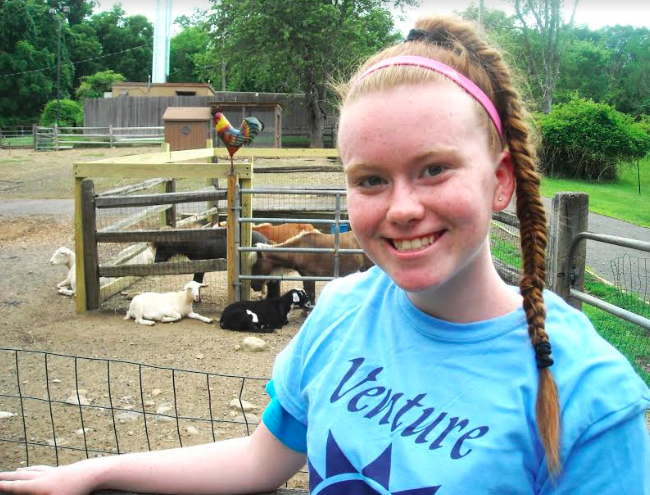 Camp Venture is a summer day camp for special kids and for kids who like to feel special. Created in 1969 by a group of parents as ‘a place in the sun’ for Rockland’s children and young adults with developmental disabilities, the camp has since evolved into an integrated summer recreational experience. It’s a warm, fun, nurturing place, where doing your best is more important than being the best. A traditional camp in most ways, activities include swimming, arts and crafts, non-competitive sports, horseback riding and music, according to its brochure.
. Responsibility- The counselor is responsible for setting a good example and being consistent, approachable and a role model to the campers.
. Time management- Staying on task to complete a lesson, while also managing many different personalities takes diligence.
. Nurturing- At camp, this is about putting your own needs aside for the needs of the campers.
. Initiative- Creative ideas in everything from safety to cleanliness and new approaches are welcomed.
. Conflict resolution- Being able to use effective communication tools and mediation to help work through problems and solves issues quickly. Summer day camp is a short but intense six-week time period that includes training sessions. For camp counselors, learning interpersonal and leadership skills are important to future successes. Developing these competencies will prove beneficial in later situations, such as completing school projects or formulating career paths. For additional information, visit Camp Venture at www.campventure.org or call 845-624-3860.